Jogging is one of Singaporeans most favourite pastime and hobby. Apart from this hazy period, you can normally see runners everywhere in Singapore as they shred a couple of pounds and at the same time, fend off the risk of heart diseases and diabetes. Although the benefits of such regular cardiovascular exercises are well known, there are also certain cons to it. These repetitive activities can cause tension in your muscles. The tension can then lead to negative impacts on one’s overall posture and even contribute to uncomfortable conditions such as iliotibial band syndrome or shin splints. Therefore, it is essential to have a good stretch upon completing your run in order to reduce the risk of muscular tension and also to maintain a healthy degree of overall mobility. So the next time you go for a jog, why not take some time to incorporate the following yoga poses in your cool down routine. Just five minutes of your time can aid in keeping your body in good condition. This pose is known as the Figure Four. It assists in releasing tension from the outer hips. Start in a standing position with your feet separated by roughly your hip’s width. After that, bend your knees and cross your right ankle over the top of your left leg. Then, lower your right knee till you feel a stretch in your hip. Hold yourself in this position for 30 seconds before changing to the other side. The Reclining Hip Stretch is a good way of reducing tension. First, lay on your back and extend your left leg towards the ceiling. Then, wrap a strap or a belt around your foot. Alternatively, use your right hand to grab the side of your leg. From there, sweep your left leg across the middle of your body until you feel the stretch in your outer hip. Once again, hold the pose for 30 seconds before changing sides. The Three Legged Dog is a more advanced version of the Downward Facing Dog. It mainly targets the calves and hamstrings. It basically follows the routine similar to that of the Downward Facing Dog. The only difference is that one leg is off the ground. If you would like to take a look at some other helpful poses, you can refer to them over here. For runners who may be on the lookout for yoga classes in Singapore, do check us out. 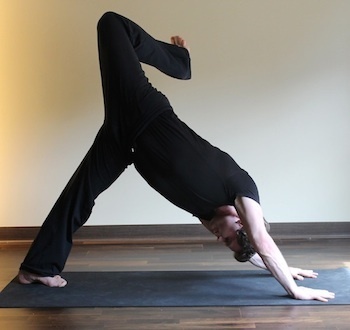 Here at OMG Yoga, we offer a variety of classes to cater to each individual’s personal needs.